High/Low/Flash mode easy switched by pressing the button to fit any accasions, very convenient. 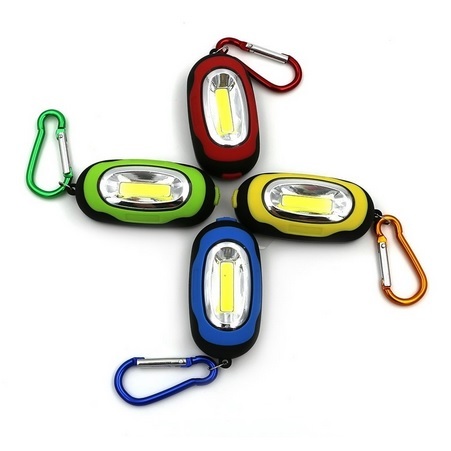 Carabiner design makes it be a mini keychain flashlight, very handy and easy to be carried. 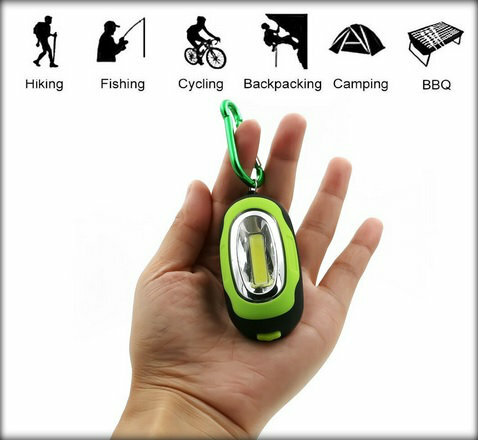 2xAAA battery in each keychain flashlight makes the flashlight work for 6-12 hours, energy-savings. Cute, pocket sized flashlight is suitable for everyone in your family, very economic and practical.